Fires raging to the north of us have created a smokey haze across the skies of Southern Oregon for over a month. It was time to get away, and with a wedding anniversary coming up, we needed very little prodding to pack up and head to the Oregon coast! Clear blue skies greeted us this morning. Perfect walking weather! 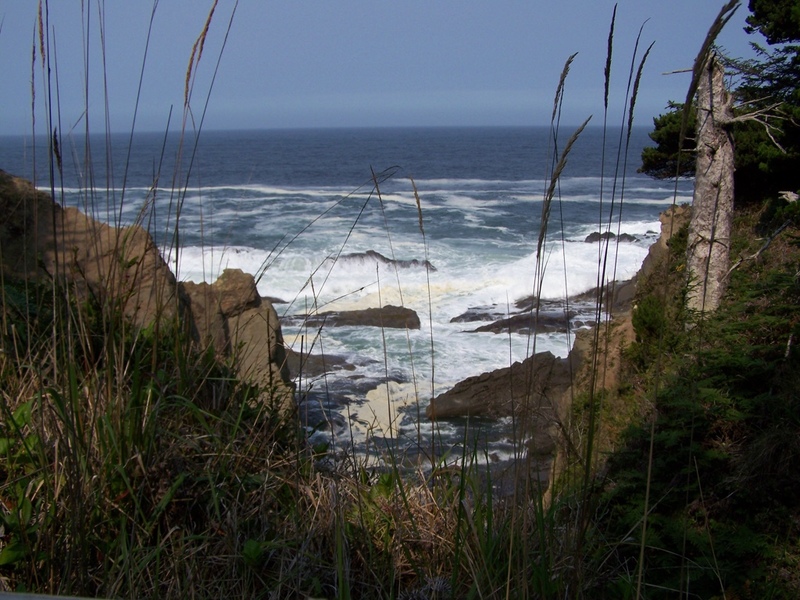 A pathway along the cliff provided spectacular views of the rugged coast. 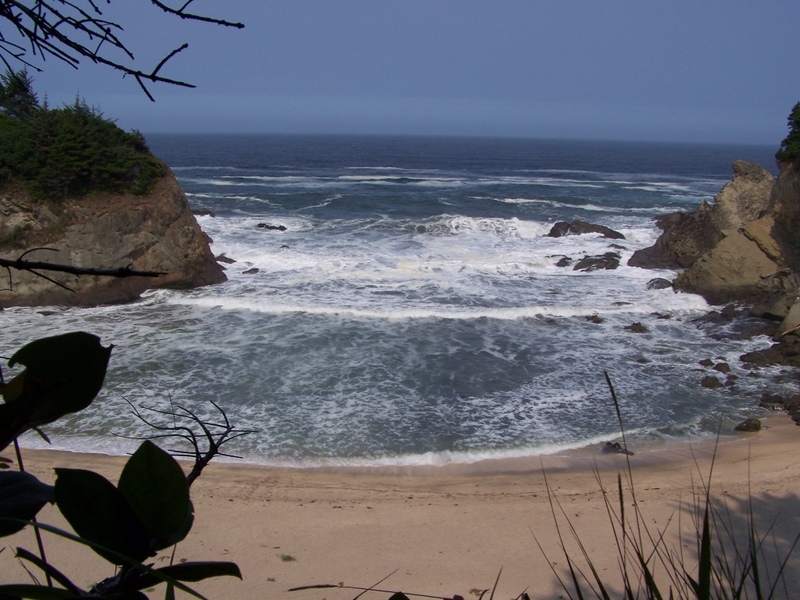 We have somehow missed Shore Acres State Park in past trips along the coast. 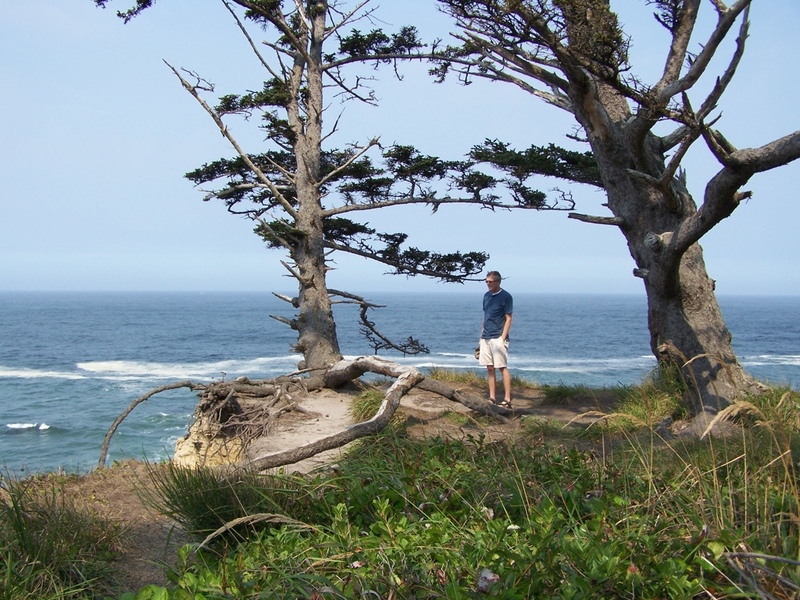 What a beautiful spot…however, I've got to say…all Oregon State Parks are amazing. This property was the summer estate (and showplace) of lumberman and shipbuilder Louis J. Simpson. Unfortunately, fire destroyed the original mansion in 1921. Financial losses prevented him from rebuilding and the state took over the property in 1942. There is still plenty to see though, and we managed to make a day of it. Take a picnic lunch along and enjoy the views! A sandy beach in a hidden cove tempts us to spend the day. The botanical gardens were a riot of color. Be sure to stop and smell the roses. 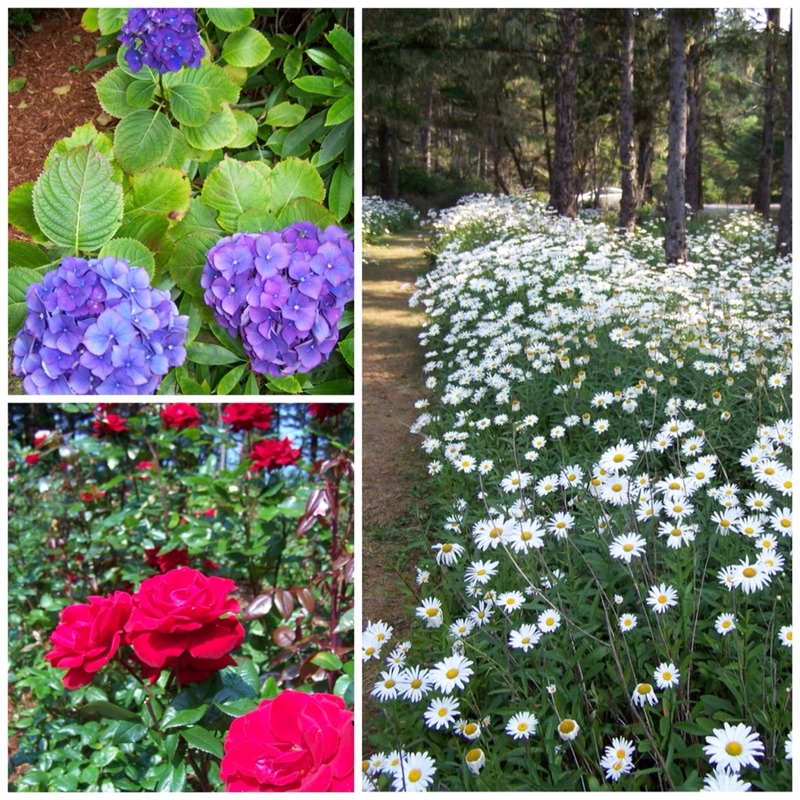 Each variety has a distinctive fragrance. The original estate boasted five acres of formal gardens built around a 100-foot lily pond. All continue to be beautifully maintained for year-round visitors. From Thanksgiving Day through New Year's Eve, the garden is decorated with 300,000+ holiday lights. Hmm…I think we may need to come back before the year is out! So beautiful! Glad you could escape for a while!